Iran has officially discontinued the exporting of oil to England and France. As a result, the cost of oil from other sources has grown. Naturally, it is expected that the price of gas will increase as well. Iran said this weekend that as a result of the European Union and the United States placing sanctions on Iran, the Middle Eastern state would stop supplying oil to some big states as revenge. The cost per barrel of oil in Europe is over $120 now. With that price expected to rise, the subsequent cost of gas is expected to go up too. In the United States currently, the average price per gallon of gas is $3.56. 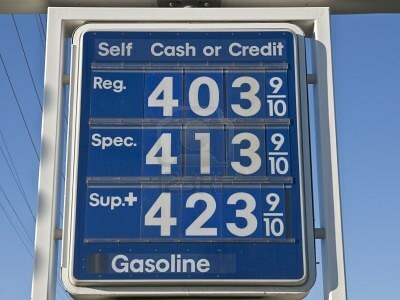 In larger states like California, gas prices are already over four dollars per gallon. Experts believe that this summer, the national average will once again be over four dollars. Some experts are even speculating that the average might creep dangerously close to five dollars. All of this could undercut the major economic strides made in recent months by the federal government. With more money being spent on gas, Americans will have less of their newfound cash to spend on other domestic goods and thus add to the American economy.